Then Carlyn bought it (see her post here) and then I got chatting to more than one person at the #sbvalentives meet up about it, and then when I bought this dress my instant thought was 'So Chaud would be perfect with this'. I still wasn't going to give in though... till I realised I was in town and en route to the Benefit Fake Up event on Monday night with my make up bag back in the house, despite me packing it so I could do my face between uni and the event. Sod's Law! So essentially I was at the Mac counter, had £30 to redeem against products for the favour of them making my face look human and decided to stop suppressing the urge. 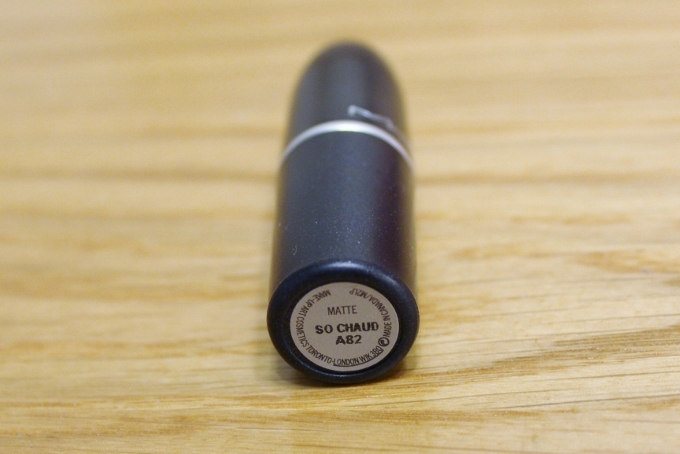 So Chaud is a matte lipstick, which is my favourite type anyway but it is worth mentioning that it is a drying formula and maybe best to apply a lip balm or something prior to applying it if you do suffer from dry lips. One of the main pluses of a matte formula is the incredible time it stays in place - I applied this around 5pm and it was still on and looking fresh at 9pm, despite all my drinking, eating and talking, and when I sayit looked fresh I mean it looked fresh, not a case of still on but sunk in to every single crack on your lips. I also had to use a proper cleanser to remove it, so this baby isn't budging. 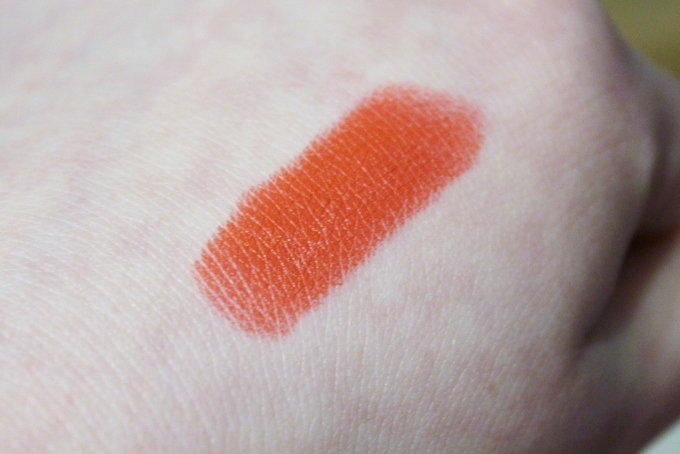 So Chaud is probably what I'd call the perfect vintage red - if you look at a lot of old pictures of Hollywood stars the reds tended to be orangey-reds and I think for anyone with similar eye and hair colour to me the orange tone tends to really compliment the browny/gold tones in there. 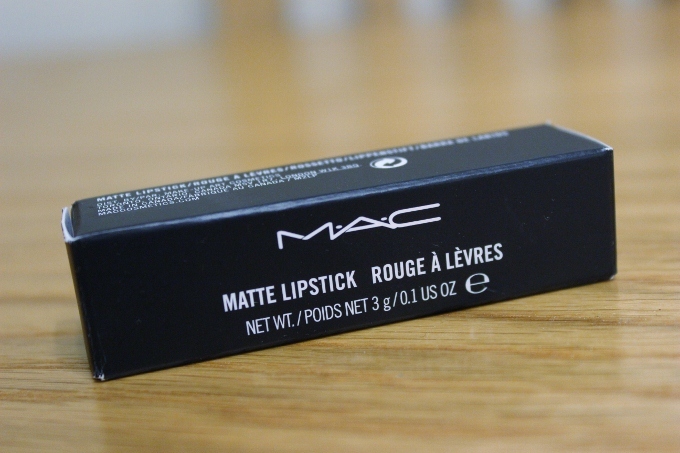 Overall, I'm really, really happy I gave in and bought this, it's becoming a firm favourite in my extensive red lipstick collection! 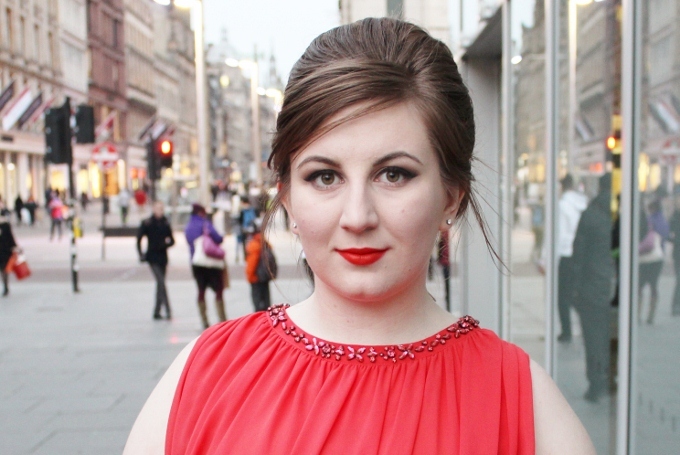 What I'm Wearing - Tiffany earrings, Ted Baker dress. This is a beautiful colour on you! 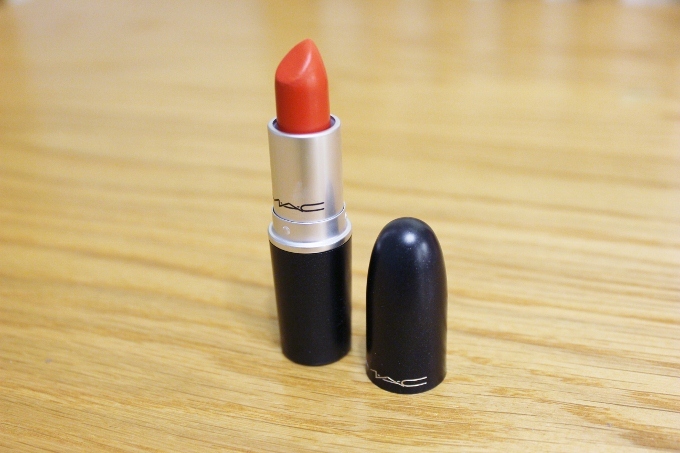 Would you recommend MAC makeovers? I've been tempted before but I've heard mixed reviews! Overall I had a really good experience at Mac with my make over - but I think that it helped that I went in with an idea of what I wanted and was able to describe that so the artist wasn't then just left to run free and use all the creative forces of the universe that would end up with me looking slightly clown like. I also like that at Mac everyone is a trained make up artist with qualifications, I was recently offered a job on a make up counter and I study journalism - whilst make up is my hobby I don't feel qualified to be putting it on other people's faces, especially for special occassions or events and the idea that at other counters the people are just random people like me who can interview well and have an interest in make up, but at Mac they know more about what suits different colouring and different face and eye shapes. The other thing to consider with Mac is that it's a more pleasant experience than at some other counters because the products sell themselves and I've never had the experience at Mac that I've had at certain other counters where they're all over you and forcing products on you. Even at the make over once she was done she left me to look through what she had used on me but also said to feel free to use my £30 on anything else I fancied so there was no pressure to buy something that wasn't necessarily what I actually wanted or wasn't something I liked. So overall I'd 100% recommend it, but I suppose it can be down to simply whether your MUA and you share the same tastes and opinions on what looks good, and sadly no matter what counter you go to you can't guarantee that, which is why I think it helps to go in knowing what you kind of want look wise, but you can always use the other MUA's make up to say 'I really like how her make up is really natural and enhances her complexion and colouring' or 'I really like that girls eyebrows and how they look polished and filled in but not unnatursl' type thing depending on your own tastes. Sorry for the essay, hope it helped!